This week, another of our semi-regular posts from Bloomsbury author Hadoram Shirihai – tales of another adventure, this time in the Caribbean. I have just completed my second major expedition in the Caribbean, this time in the Lesser Antilles, aiming to to complete the photography of the region’s birds for my book (with H. Jornvall) Photographic Handbook of the Birds of the World, and to continue my search for ‘lost’ petrels in the region. 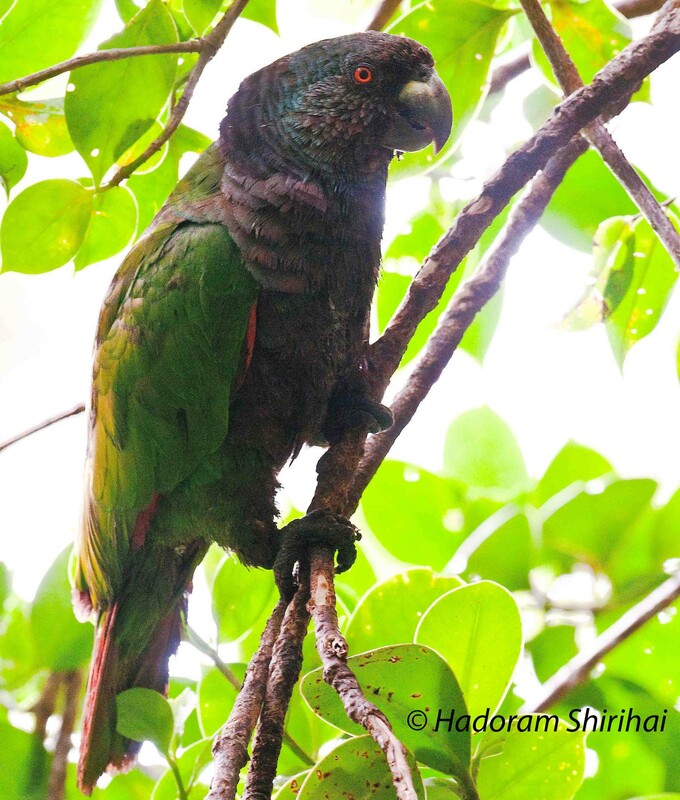 I was especially pleased on this trip to complete the photos of all of the endemic parrots of the Caribbean Islands, including the biggest and rarest of them all, the Imperial Parrot from Dominica. The Imperial Parrot – one of the world’s finest. The expedition also included some ‘pelagic mass chumming’ off Dominica. No Jamaican Petrel, I’m afraid, but we did record the first Band-rumped (or Madeiran) Storm-petrel off this island. Band-rumped Storm-petrel off the island of Dominica in June. 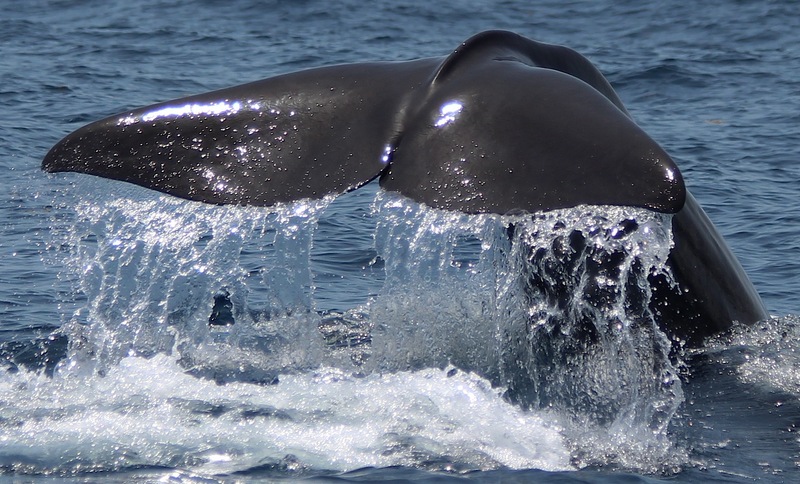 Nevertheless, the work at sea also included few days for my research into marine mammals, and especially the great whales – and here I am pleased to reveal how this has been done, often in rough seas, and often involving swimming with 9,000 feet of water below! Here’s a video clip of us in action – featuring some stunning underwater footage of Sperm Whales. Sperm whale fluke by Renato Rinaldi. Hadoram is the author of Whales, Dolphins and Seals. Hadoram would like to thank the whale experts of Guadeloupe Island – Caroline, Manolo & Renato Rinaldi (Association Évasion Tropicale), and Maria San Roman, for highly instructive and pleasant work in the ocean.